Snapchat recently announced it would be updating Snap Map to bring you notifications of what your friends (and Snapchat itself) are up to. This is one of Snapchat’s steps towards becoming more of a social network, as opposed to a person-to-person photo-sharing app. As reported by The Verge, you will now see a feed of updates on your Snap Map, showing what friends have been up to as well as major stories breaking across the map. You can keep up with your friends and community in a way separate from the Stories — which are quickly being surpassed by Instagram Stories anyway. Snap Map has only existed for a year, but it’s quickly becoming a major part of Snapchat’s social economy. It helps give image to things like natural disasters, such as Hurricane Harvey or the Skirball Fire in California last year. Now it’s expanding the Map’s utility, allowing you to keep up with your friends and giving you a reason to check it. Snapchat has been struggling to find its place in the last year, as almost everyone steals its gimmick. Everything it has that is even remotely social is something other apps already have (a messaging system) or have improved upon (Stories, filters). I’ve wasted more minutes of my life than I care to remember pointing this out. But with Snap Map, the beleaguered millennial app might finally have something to call its own. 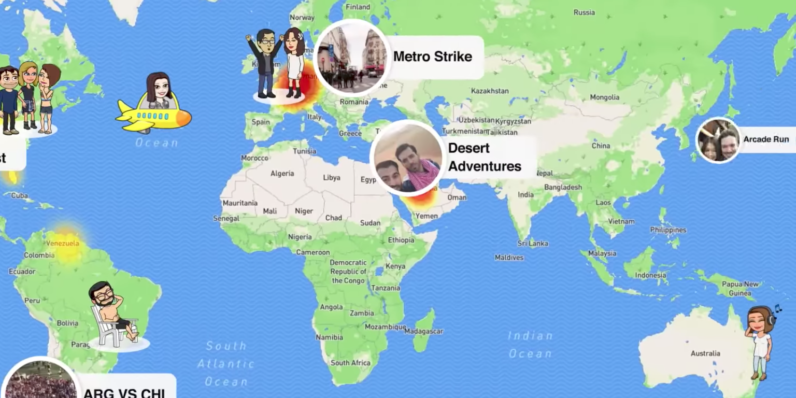 The Snap Map update will roll out globally in the next few weeks. If you don’t want to participate, you just enable Ghost Mode from the Map’s settings screen.